To celebrate the premiere of the Peanuts movie, let's take a look at some of the lesser known facts of this fantastic piece of Americana. All the color productions of Peanuts comic depict Charlie Brown with no hair. The top of his head is the same color as his face. All he's got is that weird squiggle on his forehead that becomes a fish hook if he turns to his side. But in actuality, Charlie Brown is "tow-headed" which means he has very light, very fine, short-cropped hair. (His dad is a barber after all.) There's a strip somewhere where Charlie Brown wins something (for, like, the first time), but it's a certificate for a free haircut. He says "But my dad is a barber! And I don't have much hair to cut!" Note, he doesn't say "I don't have any hair to cut". I remember having a big argument on the bus in high school about this, and had to bring in my big ol' Peanuts Treasury book to prove to them. Self-satisfaction: 1 Friends: 0. Before Peppermint Patty, there was just Patty. She's the girl with the orange dress, short brown hair, and orange butterfly clip. Often seen with Violet, she's one of Charlie Brown's biggest adversaries and token extra girl for when they need someone bitchy, but not Lucy-bitchy. I guess that's why Peppermint Patty has the clarifying adjective, even though she's more distinguished. My question is -- why not just call her something else? Plus, her "peppermint" nature is never explained as part of her character. Lucy's premieres as a baby in a crib. 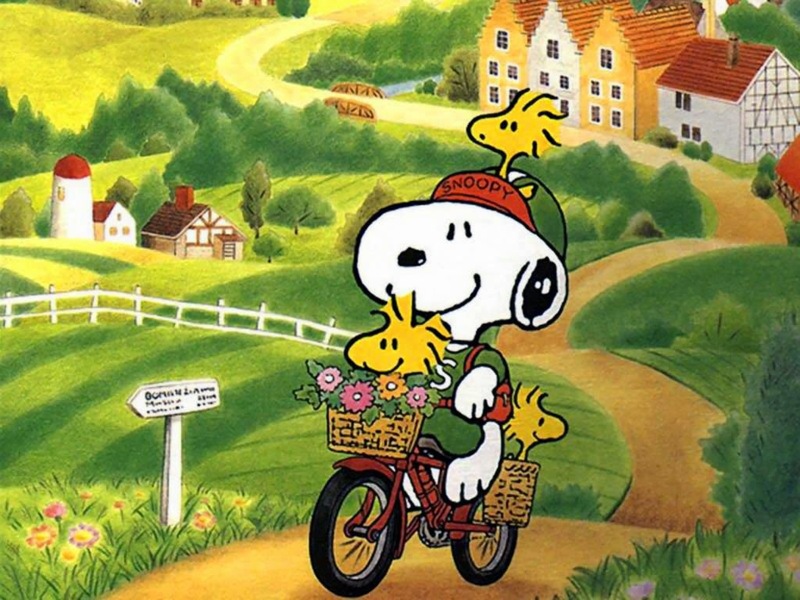 Schulz based her on his own daughter at the time, who was the real-life "fuss-budget". 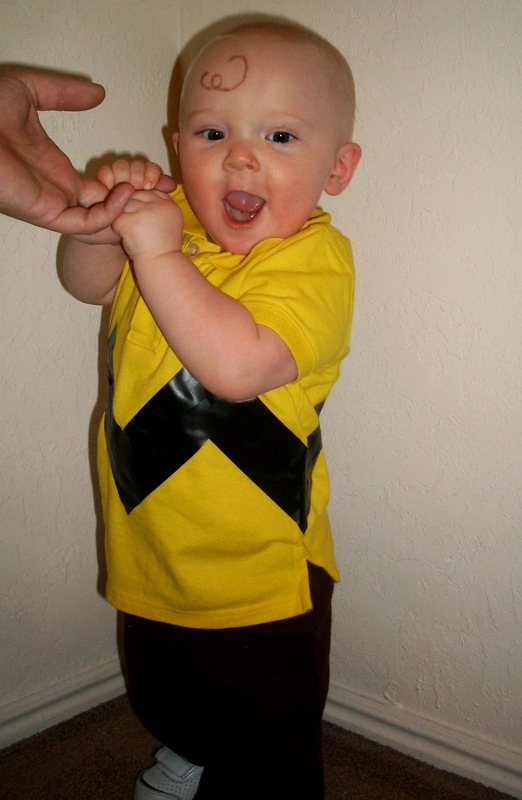 However, at this time, Charlie Brown is his normal age. So somehow, Lucy grows to become everyone's peer, maybe even older, while Shermy and Snoopy remain unchanged. Does everyone stop growing at a certain age, like in that Star Trek episode? Is there something in the water there? Moreover, Linus and Sally both start out as babies too. I particularly remember that Charlie Brown resents Sally because he has to take care of his baby sister while his team plays baseball without him (and inevitably wins). 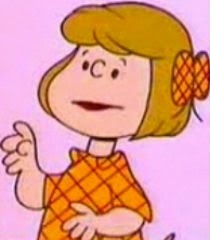 Then weirdly, Sally grows and becomes Linus's peer. Some serious cradle-robbing in this comic. I wonder if they'll ever make a Peanuts: All Grown Up, like with Rugrats. Not sure if this is so much a feature as a criticism. Peanuts is a simplistic strip that rarely deviates from the four panel format: three panels of setup, then the punchline. But some have discovered that reading just the first three panels showcases a the existential ennui of Charles Schulz. I mean, yeah, a lot of Peanuts' themes have to do with failure, anxiety, unrequited love, and the nature of the universe. But it's a fun parlor game, kinda like "Garfield Minus Garfield". One of the most iconic images is the kids dancing when they should be rehearsing. Maybe because the dances are so weird. Shermy is doing the Frankenstein, Violet is checking her deodorant, and the Snoopy dance is nigh immortal. But who are those two girls with the stringy hair bopping their heads hard enough to cause whiplash? I can't recollect any instance where you ever see these two again. They've disappeared into the eternal abyss of Charlie Brown's depression. Unless you do a little research. Our mystery twins are identified as... 3 and 4. Yes, 3 and 4. Sisters of 5. Who is 5? 5 is a character you've already seen, but probably don't remember. His full name is 555 95472, first and last. His family changed their name into numbers as a response to the "preponderance of numbers in people's lives". It's all in the comics. He was a prominent background character throughout Peanuts' prime, but never achieved recognition. He's a little below Franklin on the totem pole. In A Charlie Brown Christmas, the kid with the orange shirt doing the "shoulder shrug shuffle" is supposed to be 5, but it looks very little like his comic incarnation. According to Peanuts Wiki, he's only had three appearances with lines. He's kinda like Butters in the early seasons of South Park, a utility character. It's a shame he never got more screen time, he was one of the more likable characters in the strip, as long as he lasted.